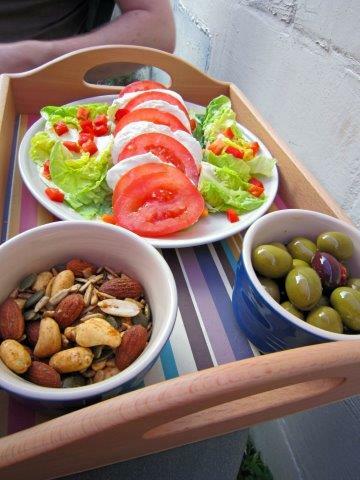 During the summer months I shy away from hot heavy meals, instead preferring to eat a more Mediterranean diet with salads, olives, sun dried tomatoes and cheese etc. At the very least I can eat like I’m on holiday wherever I happen to be :). 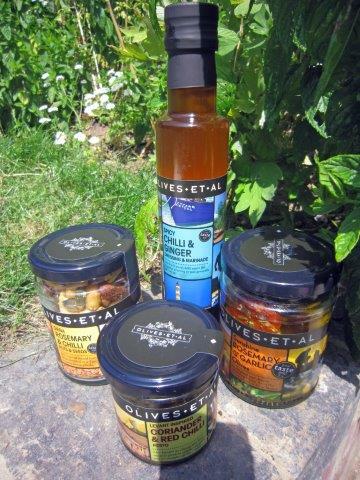 When I was asked if would like to test out some of the new products from the Olives Et Al range I enthusiastically agreed. Giles & Annie the founders of Olives Et Al have been travelling the world for 20 years with members of their team looking for unique and distinct flavours. 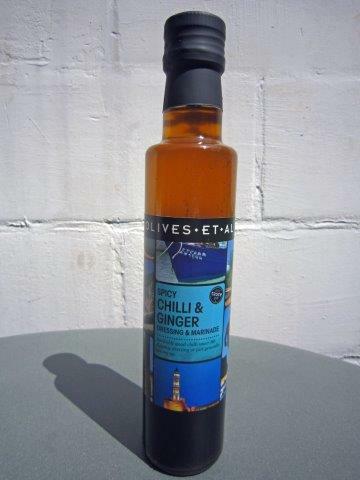 They use only the best ingredients grown by artisan farmers, with all products made lovingly by the Oliveers on their site in Dorset. All products are free from artificial colourings, flavours or preservatives. I enlisted my husband and youngest son (the elder two were out) for my taste test. This variation in age and personal taste seemed like a great way to test out each of the products, plus it gave us the excuse to spend the afternoon out in the garden. We ate this as a dressing rather than a marinade and it was lovely. It has a warm spiced flavour but it isn’t overly hot, all the flavours shine through without being sacrificed to heat. For me this was perfect, but if you are expecting a truly hot dressing, then this isn’t the one. 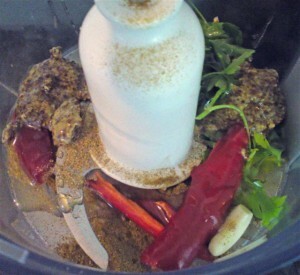 I have yet to try it out as a marinade but I have high hopes it will work well. ‘A unique blend of peanuts, almonds, cashews, pumpkin seeds and sunflower seeds all freshly roasted and tossed in a Tuscan inspired mix of sweet rosemary and chilli’. This lovely little jar is beyond moreish, I could easily eat a whole pot to myself. My son wasn’t so keen, but I would consider these a more adult kind of snack so it didn’t really surprise me. My husband didn’t actually manage to form an opinion before I had spirited them away :). There’s some heat to the nuts but not powerful enough to kill the flavour, it just compliments. They are beautiful eaten alone (an alternative movie snack to popcorn?) or sprinkled over a salad. 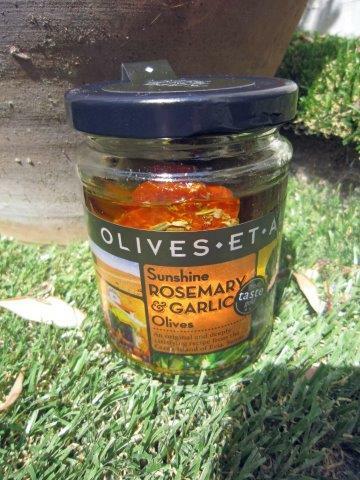 ‘…made with a classic Greek marinade of rosemary, infused with extra virgin olive oil, garlic and sun dried tomatoes, or Aussie Olives, steeped in tart tangy liquor to a truly unique Australian recipe’. These are un-stoned which may be more natural but makes them less delicate to eat in company (discarded olives seeds always look a bit grim on a plate). 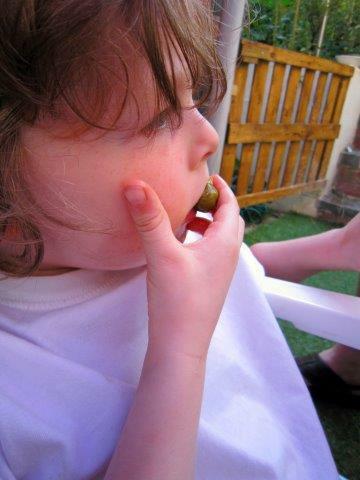 Fortunately my son (who loves olives) was unperturbed and enthusiastically tucked in, far too busy munching to actually give me an opinion (that probably says it all really). My husband called them ‘Tangy’, I called them ‘Zingy & Fresh!’ They are wonderful eaten alone or in a salad/pasta dish, the rosemary compliments the olives and sundried tomatoes perfectly. ‘…a traditional and pungent relish and spice paste prepared from fresh coriander and red chilli, spiced with cumin, cloves, cardamom and finished with lemon juice and garlic’. 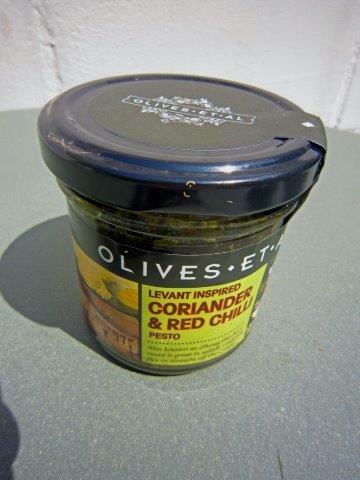 I love Pesto at the best of times and this little jar certainly does not disappoint. It’s quite a fiery pungent little fellow, so perhaps skip eating it straight off a spoon (as the hubby did). The Coriander tempers the Chilli but maybe not one for the kids. It’s made to a traditional recipe and known as Zhoug across the Middle East. Wonderful eaten with cous cous or pasta, or even as a meat rub. 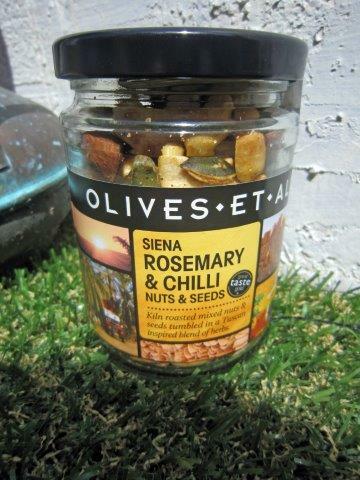 I thoroughly enjoyed all the Olives Et Al products but my favourites were the Sunshine Rosemary & Garlic Olives which were delicious and perfect for all the family and the Sienna Rosemary & Chilli Nuts & Seeds which I am already missing having consumed this jar rather quickly! Could it be improved in anyway? Personally and really only because I’ve become used to stoned olives I would have rather the olives had their stones removed, but I don’t consider it a big issue or one that would stop me purchasing these olives again. As Bank Holiday Monday approaches it’s a safe bet that many of us will be hoping for sunshine so we can break out the BBQ. But why settle for cooking meat straight from the packet, how about livening it up with sauces and marinades. Today I’m going to share a gorgeous Honey & Mustard Chicken Marinade that was given to me by the good folks at Rachel’s Organics. 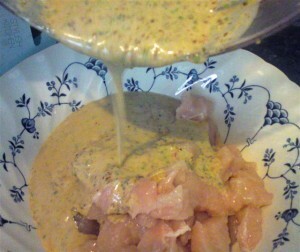 To make the marinade place all the ingredients except the yogurt and oil into a food processor and blitz until smooth. With the motor still running add the yogurt and a swig of olive oil and pulse briefly. Pour the marinade over the chicken pieces and leave to marinade for at least ½ hour or overnight in the fridge. Pre-heat the barbeque or grill on high. Cook one side and then the other until golden. 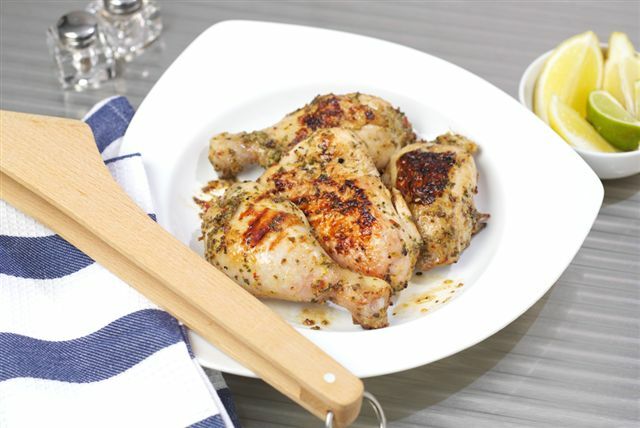 Check the chicken is cooked all the way through and then serve with lemon wedges. Note. 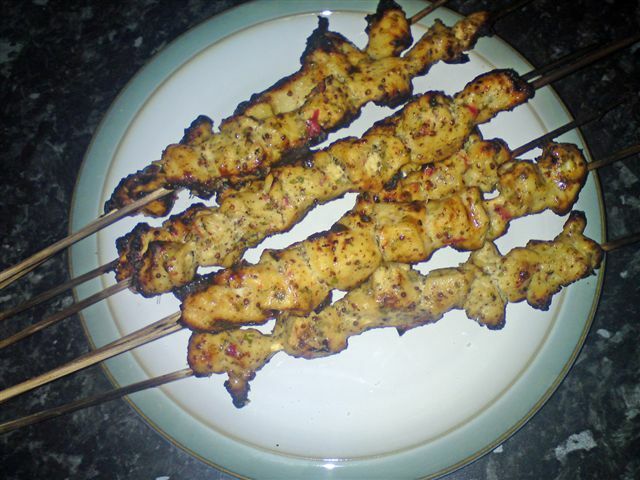 This recipe works very well with either Chicken Drumsticks or pieces threaded onto a kebab stick as we did here. 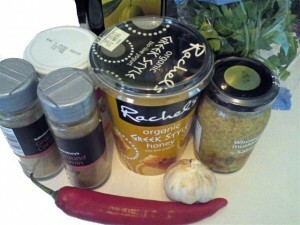 For more yummy recipes, make sure to visit Rachel’s Organics online.